The Cast of Amazon’s The Tick Comes to Houston for Comicpalooza 2019! Spoon! The Tick has returned to save the city with season 2 of the hit live action television series available now on Amazon Prime. Fans of the wacky comic book character can meet the show’s fantastic cast next month at Comicpalooza 2019! 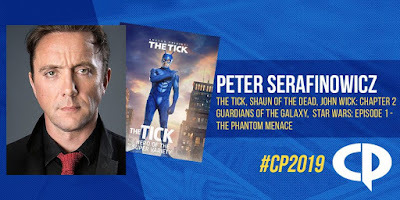 Texas’ preeminent pop culture convention will be hosting five cast members of The Tick: Peter Serafinowicz (The Tick), Griffin Newman (Arthur), Yara Martinez (Miss Lint), Brendan Hines (Superian) and Scott Speiser (Overkill). 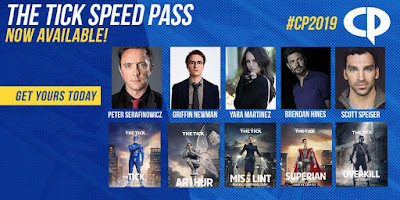 Fans of The Tick can purchase a The Tick Speed Pass, which includes 3 Day Admission to Comicpalooza 2019, 30 minute early admittance to the Exhibit Hall, and priority line jump for all autographs, photo ops and panel sessions related to the cast of The Tick (autographs and photo ops must be purchased separately). 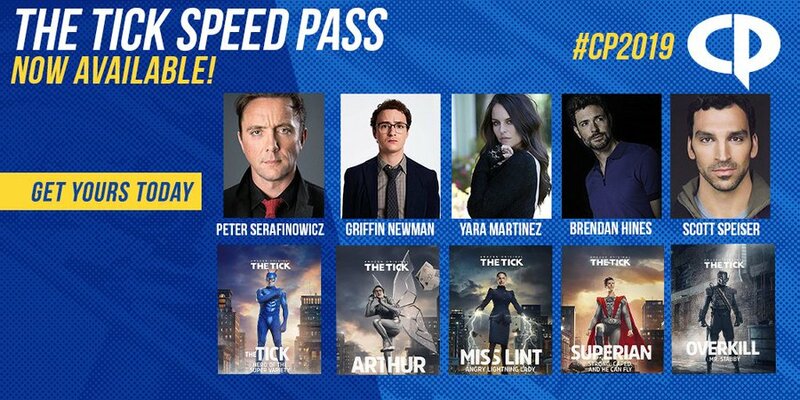 You can also purchase a The Tick group photo opportunity with all five cast members! Comicpalooza 2019 takes place May 10-12 at the George R Brown Convention Center in Houston, Texas. Weekend Passes and 1-Day Passes are currently available online at Comicpalooza.com. 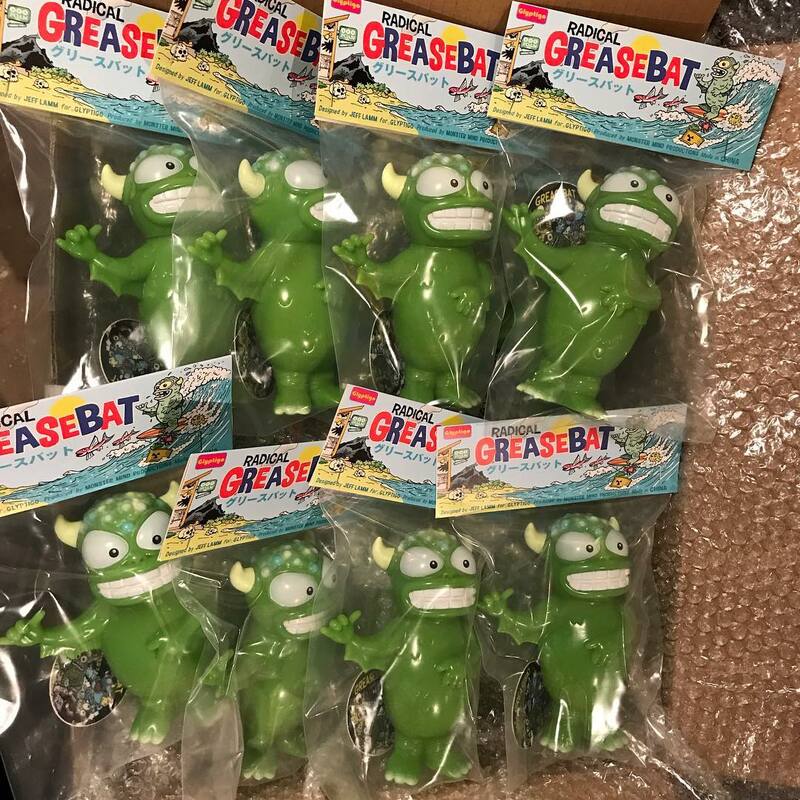 Jeff Lamm’s beloved character, Greasebat, returns today in a brand new form! Check out the Radical Greasebat, a playful new take on the Real Fighting Greasebat that was designed by Lamm and produced by Monster Mind Productions in Hong Kong. 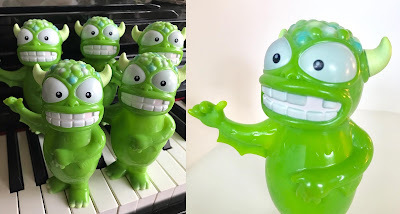 Cast in light green soft vinyl and featuring a variety of green sprays with white and black detailing, the first colorway of the Radical Greasebat drops at 3pm EST today, Friday, April 19th, at the new Glyptigo online store. 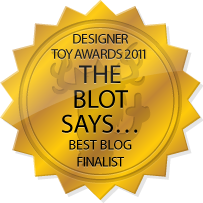 The Blot cannot wait to get my hands on this fun new take on the RFGB. We’re just one week away from opening weekend of Marvel’s Avengers: Endgame, and our friends at Johnny Cupcakes are celebrating the greatness that is the MCU with this fantastic limited edition Avengers: Cakegame T-Shirt Collection! 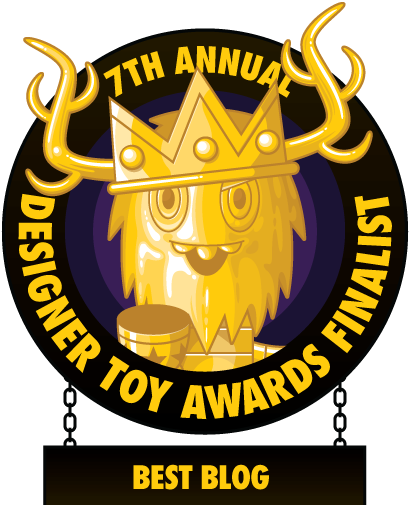 This epic new collection features two Big Kid t-shirts, featuring JC’s adorable mascot cosplaying as Captain America and The Hulk, an Ant-Man Crossbones tee and two Thanos designs. 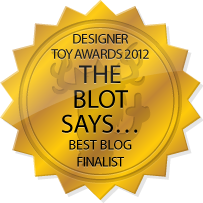 The Blot wants them all!!! 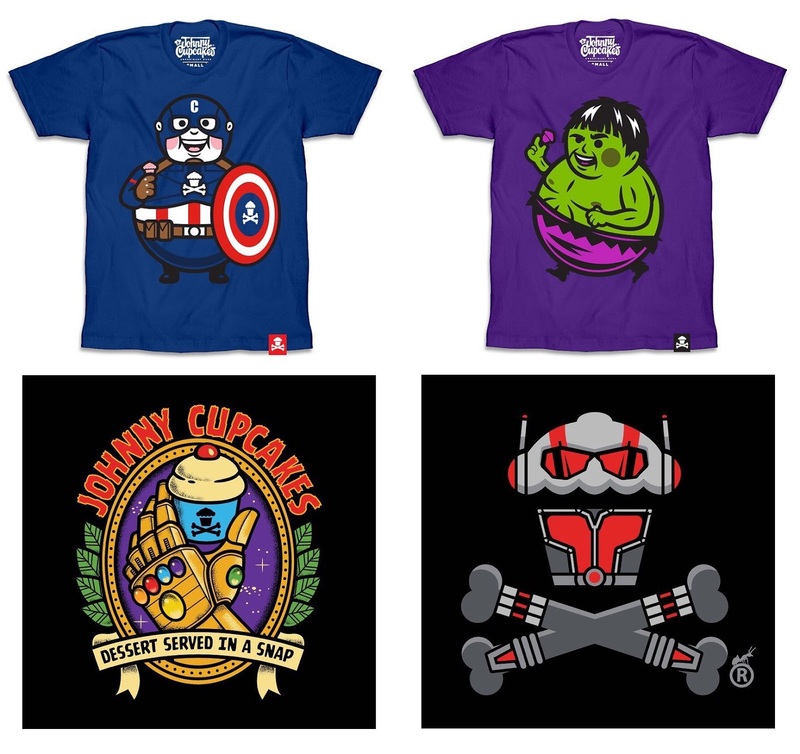 The Marvel’s Avengers: Endgame T-Shirt Collection goes on sale at noon EDT today, Friday, April 19th, at the Johnny Cupcakes online store, in sizes XS-3XL, for $35.99. 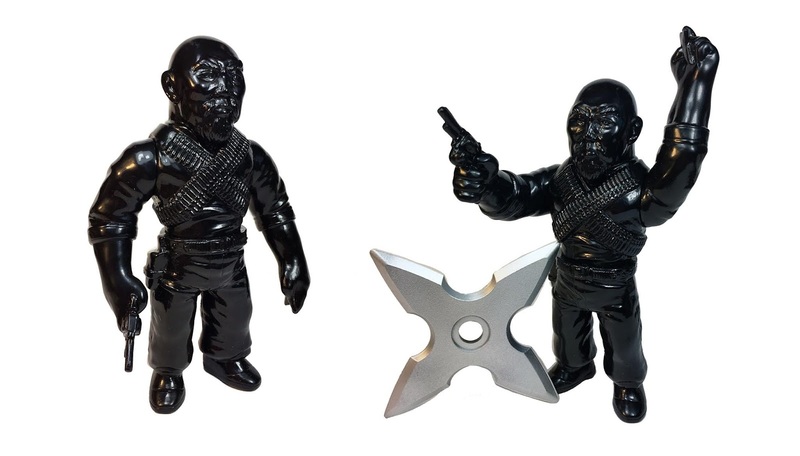 Check out the latest colorway of Max Toy Company’s awesome Gerald Okamura soft vinyl figure – the Ninja Black Master of Weapons! Based on the Man of Many Weapons and Legendary Martial Arts Star, Gerald Okamura, this fantastic unpainted sofubi figure was sculpted by Makino-san of TTToys and then cast in glossy black soft Japanese vinyl. 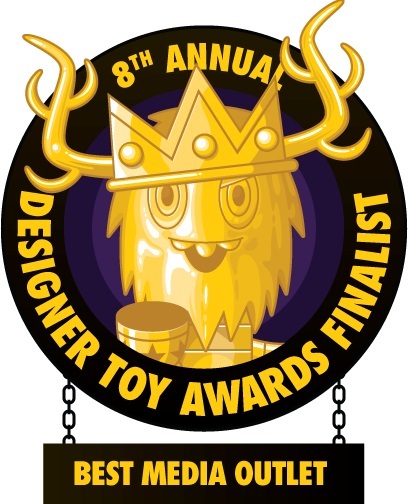 Fans can purchase it now at the Max Toy Co online store for just $40. 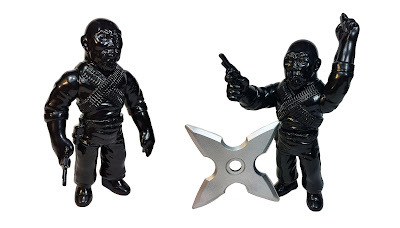 Each figure stands 5.25” tall, includes a rubber Ninja Star and comes bagged with a header card. 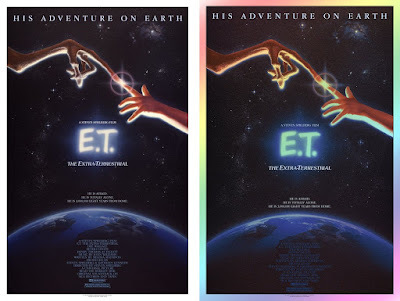 Bottleneck Gallery, Justin Ishmael and Vice Press are teaming up with artist Andrea Alvin and the John Alvin Estate to release a new series of movie poster screen prints based on John’s iconic movie posters. John Alvin’s legendary career is unmatched in cinema illustration / design as he created art and theatrical posters for legendary films like Gremlins, Blade Runner and E.T. To kick things off, BNG, ISH and Vice Press will be releasing this amazing movie poster for E.T. The Extra-Terrestrial! The E.T. The Extra-Terrestrial screen print is sourced from Alvin’s original art and files from John's archive, and will be approved, not only by the studio, but by Andrea Alvin with a signed and embossed certificate. This E.T. screen print will be available as a timed-edition release, alongside a limited variant, from Thursday, April 18th, at 12pm EDT through Monday, April 22nd, at 12pm EDT at BottleneckGallery.com and Vice-Press.com. E.T. 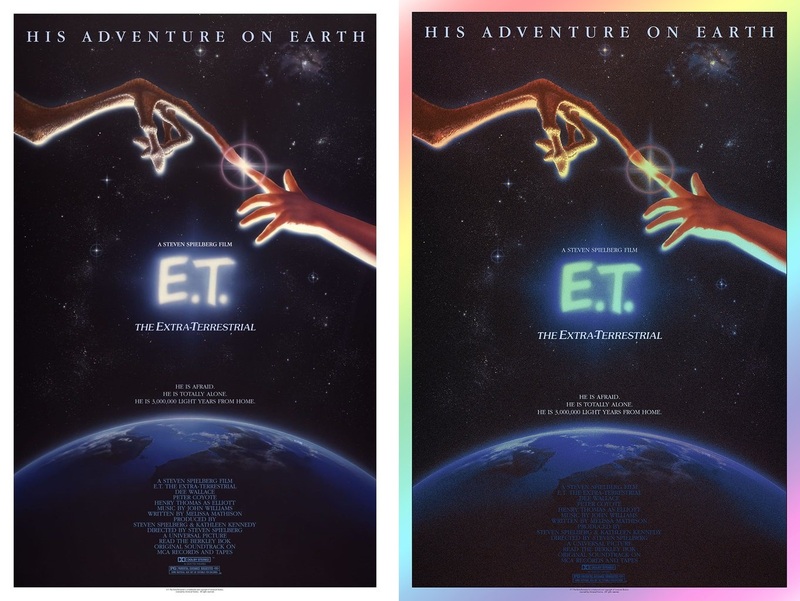 The Extra-Terrestrial by John Alvin is a 24”x36” hand numbered 9 color screen print. The Timed Edition will retail for $75, while the Foil Variant is limited to 225 pieces and will retail for $100. 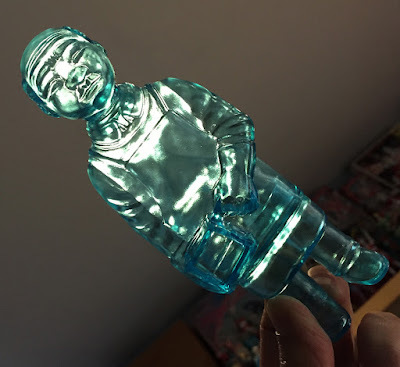 Mark Nagata and Max Toy Company have just released the newest colorway of their awesome Sofubi-man vinyl figure, and this unpainted edition was cast in a beautiful clear blue soft Japanese vinyl. 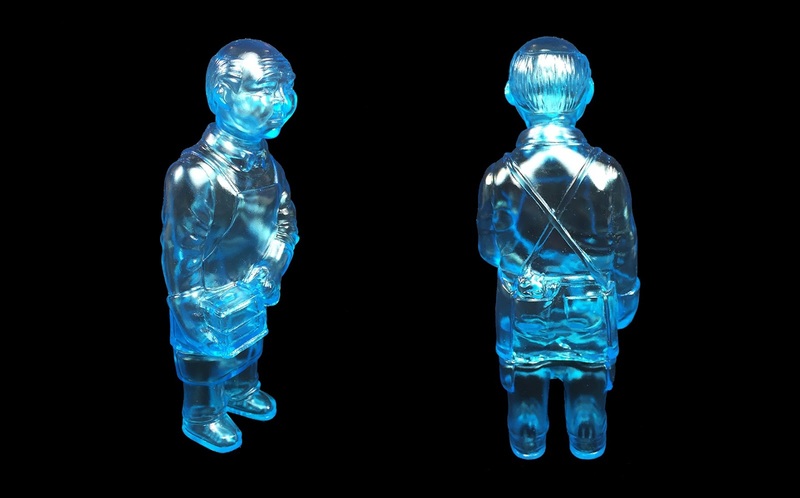 He comes holding an iron mold, which is used to cast the figures, and is the perfect homage to the men and women who cast soft vinyl figures in Japan! The Clear Blue Sofubi-man vinyl figure stands 6” tall, features one point of articulation at the neck, and can be purchased now at the Max Toy Co online store for $40. Later today, Mondo celebrates the 20th anniversary of Eric Powell’s The Goon comic book series with this awesome new screen print by the character’s creator! The poster debuted last weekend at Mondo’s celebration of the landmark comic series and its 20th anniversary. 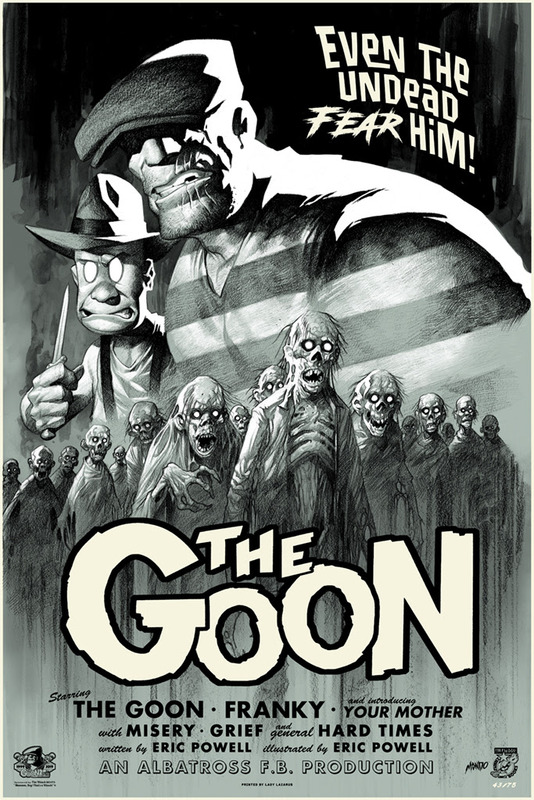 The Goon by Eric Powell is a 24”x36” hand numbered screen print. Limited to just 125 pieces, this killer poster will go on sale at a random time today, Thursday, April 18th, at the Mondo online store for $50. ODEON Cinemas knows that seeing Avengers: Endgame just once won’t be enough. 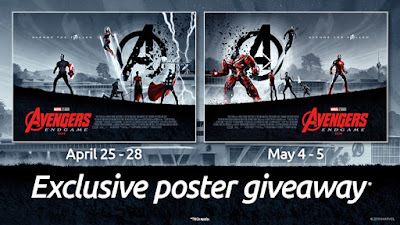 That’s why they European theater chain has teamed up with Marvel Studios and artist Matt Ferguson to give away two collectable fan posters featuring exclusive artwork designed for ODEON Cinemas. 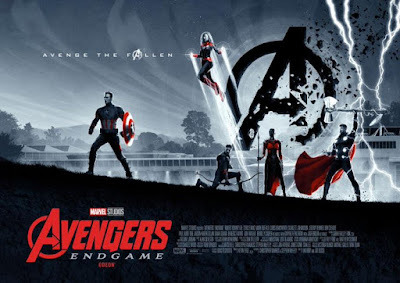 Check out what a killer job Ferguson did design two interlocking movie posters for Avengers: Endgame. 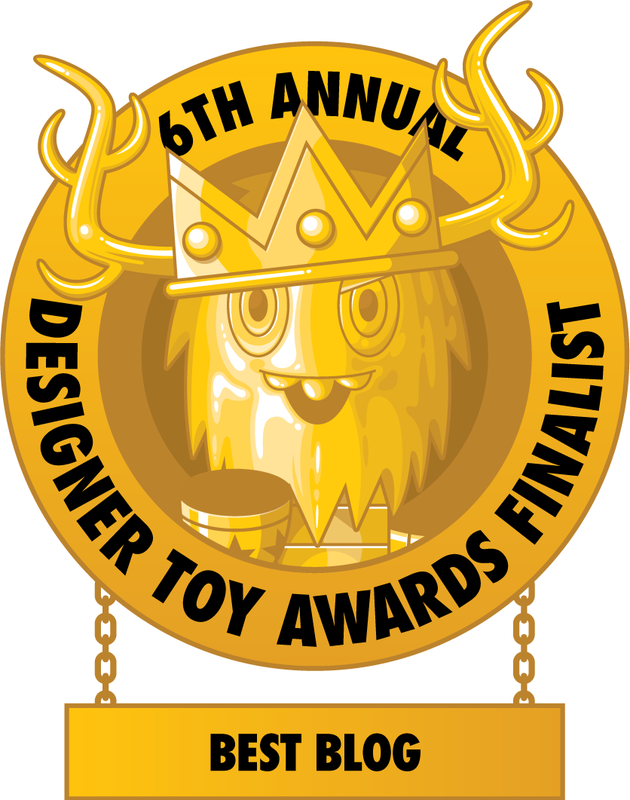 How can you pick a favorite!?! To score one of these Avengers: Endgame movie posters all you have to do is go see the film at a participating ODEON Cinemas theater. 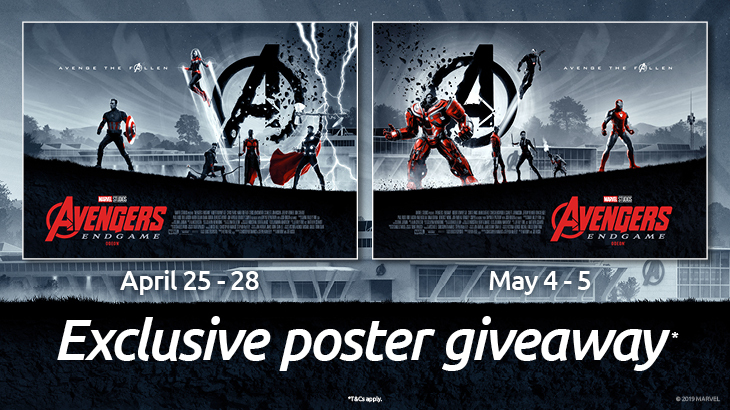 The first poster will be given away for free April 25th-28th, while the second poster will be given away May 4th-5th. Later today, the Cosmic Ghoul Warrior returns as the Super7 x Killer Bootlegs collaboration continues with the Maroon Horned King Phantom Starkiller! 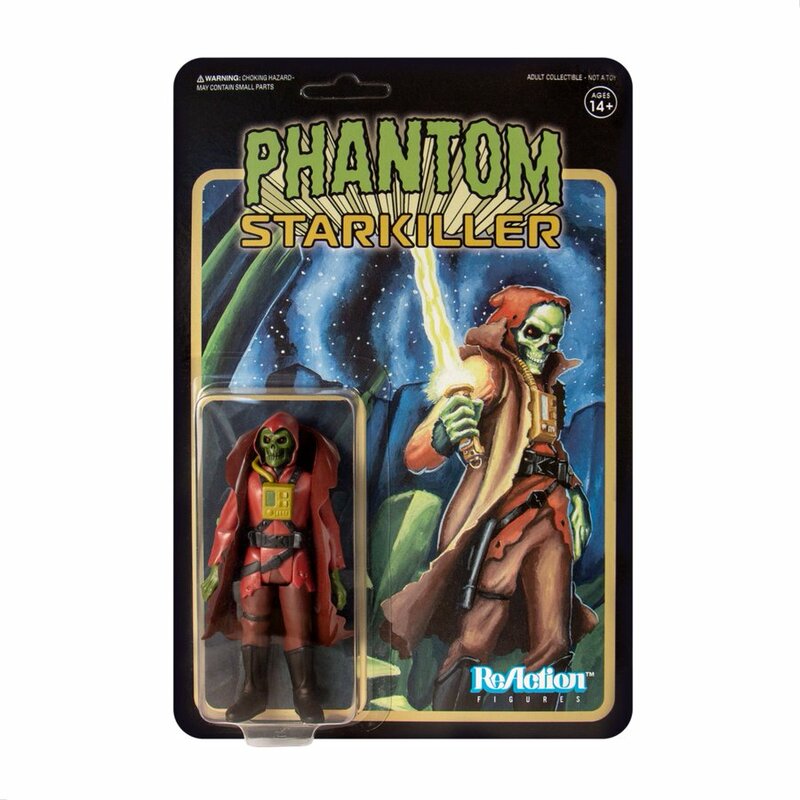 This limited edition 3.75” retro action figure features multiple points of articulation and comes packaged on a colorway specific full color blister card. Collectors can purchase the new Maroon Horned King Phantom Starkiller ReAction Figure today, Wednesday, April 17th, at the Super7 online store for just $15. Here’s some awesome news – Grey Matter Art and Bottleneck Gallery have teamed up with artist Matt Ferguson to release his Avengers: Infinity War movie poster series as a massive giclee print! 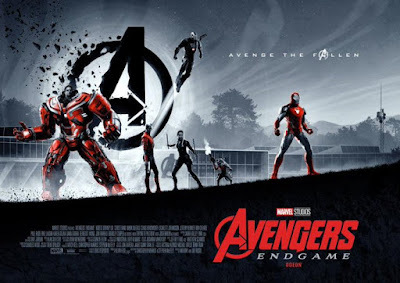 While the image was originally created for the movie’s theatrical release as a series of small lithographs given away at ODEON Cinemas in the UK, GMA and BNG loved the image so much that they’ve worked with Ferguson and Marvel to create a high quality, officially licensed giclee print. 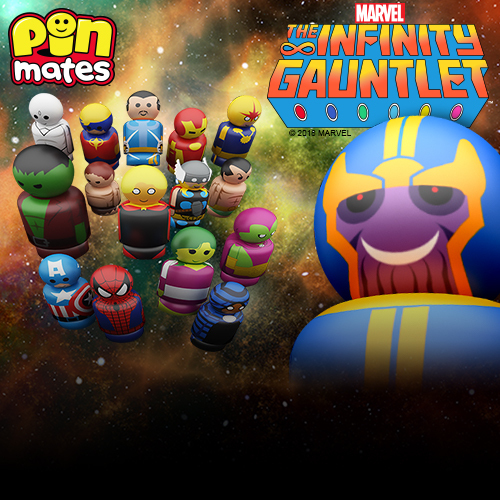 Avengers: Infinity War by Matt Ferguson is a 36”x12” hand numbered giclee print. This will be a timed release, meaning the edition’s size will be determined by the number of prints sold during the pre-sale period. 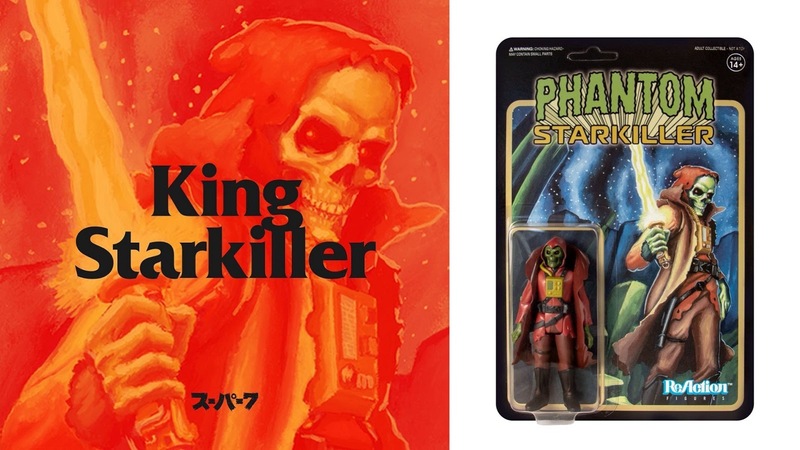 It will go on sale at 12pm EDT today, Wednesday, April 17th, and will be available until 11:59pm EST on Sunday, April 21st, at both the Grey Matter Art online store and the Bottleneck Gallery online store for just $45.